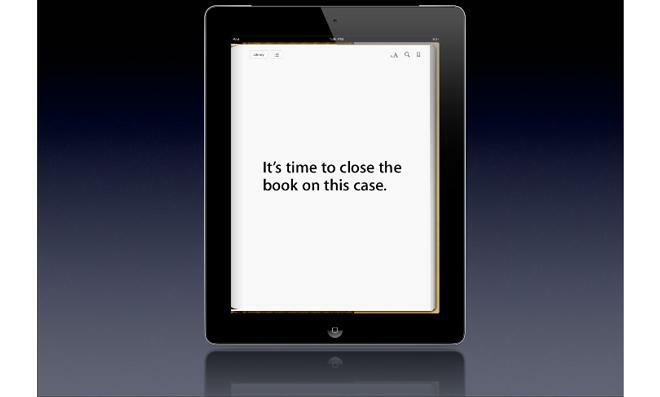 Apple, Amazon, Barnes & Noble, and Kobo have begun the process of handing out $166 million in account credits to consumers affected by the e-books price fixing scandal as notification emails began going out on Tuesday. E-book buyers can expect to receive a credit of $3.17 for each electronic version of a book on the New York Times bestseller list purchased between April 1, 2010 and May 21, 2012, while books not found on the bestseller list draw a credit of $0.73 each. Consumers who purchased e-books from Sony and some other retailers will receive a partial refund check rather than a credit. The payments are the result of a settlement between the Department of Justice and publishers Hachette, HarperCollins, Simon & Schuster, Penguin and Macmillan. Those publishers reached a settlement agreement with the government after being accused, along with Apple, of conspiring to raise e-book prices by agreeing to a new agency pricing model. Unlike the traditional wholesale model, in which content is purchased in bulk and resold at a price decided entirely by the retailer, the agency model allows publishers to effectively set minimum retail prices throughout the market. The defendants argued that while prices did increase slightly under the agency model, it also had the effect of leveling the playing field by eliminating Amazon's market hegemony. Apple was not party to the settlement and was eventually found guilty of price fixing, though the company continues to vigorously defend itself. Apple is now in the midst of an appeal seeking to either overturn that verdict or secure a new trial before a new judge.